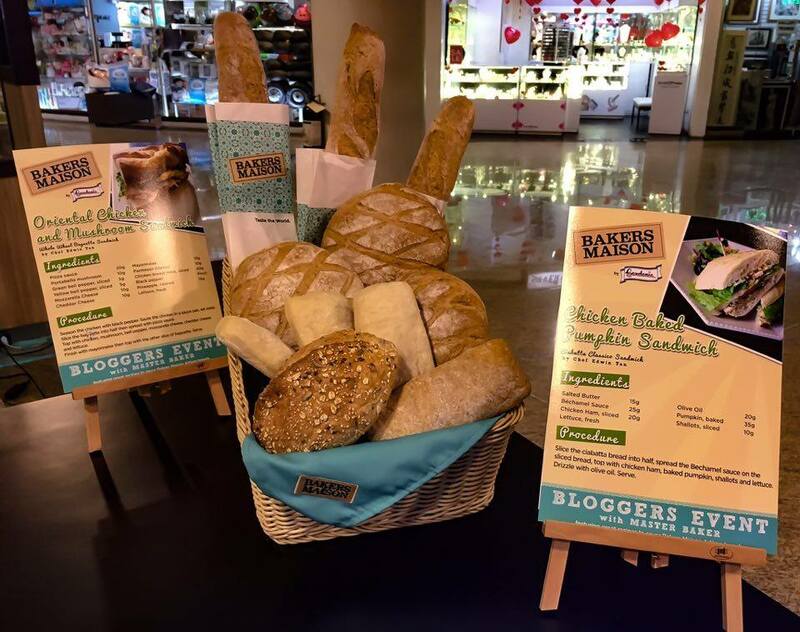 Last February 9, 2017, the Bakers Maison introduced the taste of the world by showcasing sandwich recipes of Malaysian Master Baker Edwin Tan and his team on the 3rd Floor of Glorietta 4, Ayala Center, Makati City. 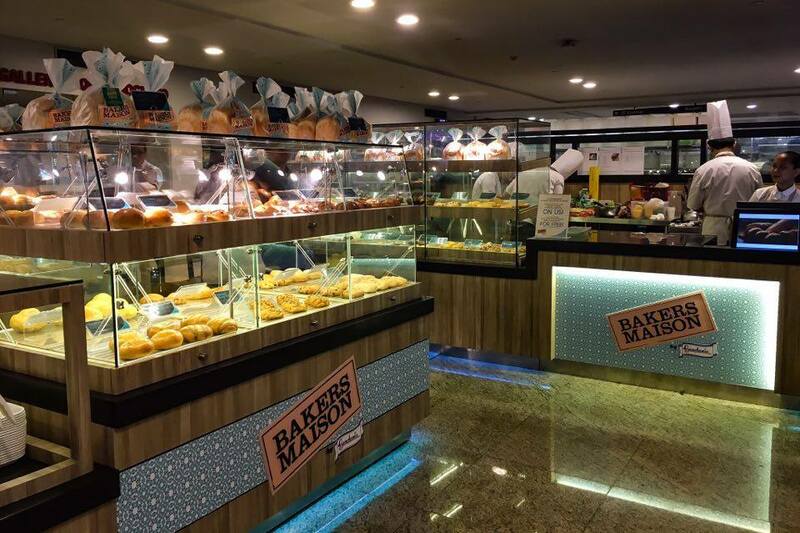 Bakers Maison is an Australian bread and pastry chain that started February 2016 in the Philippines. Together with Gardenia Bakeries Philippines, they put up their first Full Store at SM North EDSA. 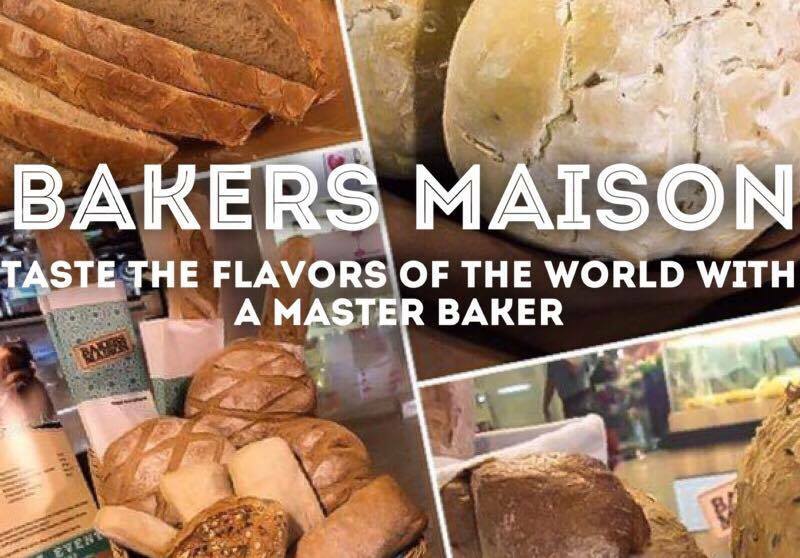 Bakers Maison offers freshly made bread from artisan to pastries and refreshments inspired by traditional French recipes with a mixture of delectable flavors all over the world. To date, it has seven branches and has three type of stores- full, stand alone and kiosk. Master Baker Edwin Tan is a Malaysian Master Baker that has three decades of baking experience. 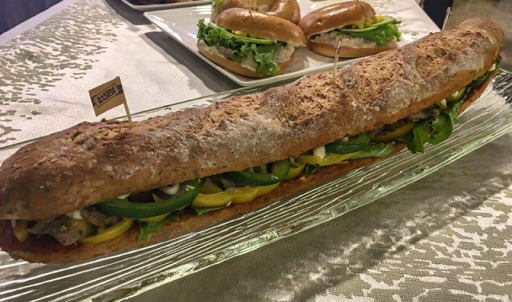 The Master Baker together with his team showcased their skills and expertise to the bloggers by preparing delectable sandwiches. Ingredients of the said recipes are readily available, no bake, easy to prepare and uses freshly baked artisan bread from Bakers Maison. 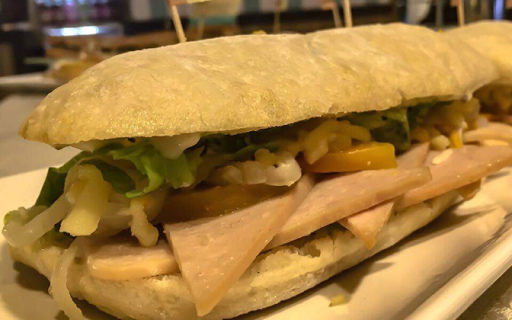 Master Baker Tan and his team prepared sandwich recipes like Chicken Baked Pumpkin Sandwich and Oriental Chicken or Ciabatta Classic Sandwich and Mushroom Sandwich or Whole Wheat Baguette Sandwich. Each sandwich that they prepare incorporates different flavors around the world. Artisan bread like whole wheat baguette which originated in France, ciabatta classico which was introduced in Italy, sourdough de maison from Italy and bagel from Poland were some of the bread that were used by Master Baker Tan and his team. 1. Season the chicken with black pepper. 2. Saute the chicken in a saucepan and set aside. 3. Slice baguette into half and spread the pizza sauce. 4. Top with chicken, mushroom, bell pepper, mozzarella, cheddar, and lettuce. 5. Finish with mayonnaise and top with another slice of baguette. 1. Slice the ciabatta bread in half and spread the Bechamel sauce on the bread. 2. Top with chicken ham, baked pumpkin, shallots, and lettuce. 3. Drizzle with olive oil and serve. 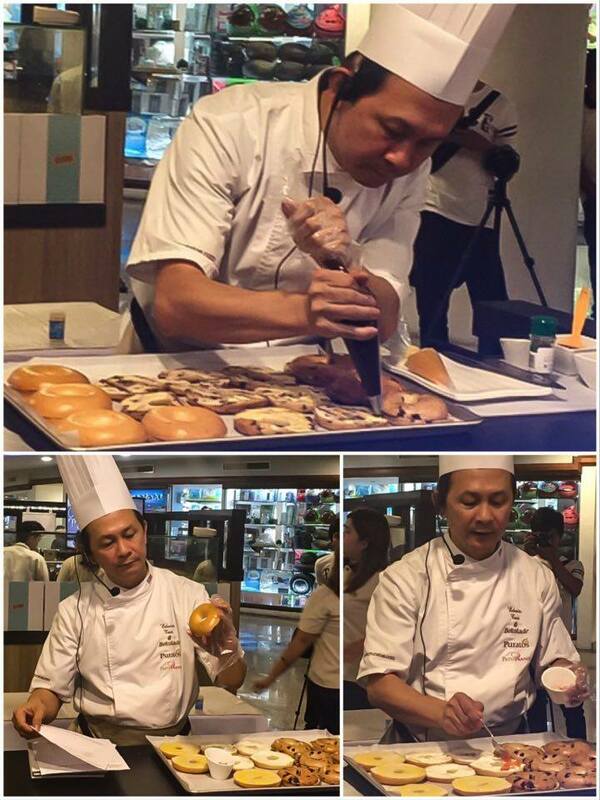 Aside from the sandwiches Master Baker Edwin Tan also showed how to make an easy dessert using a bagel. Bakers Maison reinvents the usual sandwich recipe through the eyes of Master Baker Edwin Tan. The sandwiches are easy to prepare and have a distinct taste that each member of the family can enjoy. I like sandwich. These ones look tasty! Oh I adore a good bakery like this! The smells alone!!! This one looks ace I wish it was here! Thanks for the great recipes. I think I like the chicken baked pumpkin sandwich the best. I will try to make that. These sandwiches look so delicious! I would love to try the chicken baked pumpkin sandwich! I can just smell the bread. I love bread and this place would be awesome. I love sandwiches and these made me drool lol. I am a sucker for anything fresh from a bakery! This would have been a great experience for me! Those reinvented breads by the Master Baker looks so promising and I can't wait to have a taste of it. That chicken baked pumpkin sandwich looks really good. Love bakery products,your pictures make them real! I'll try your recipes, they seems easy but special! Oh my gosh. I want to go there! Those bagels look absolutely perfect. I love baking and baked goods and bakeries, but everything here just looks amped up to 11. This post just made me soooo hungry! I love visiting bakeries because they always smell so incredible! The Sandwiches look amazing. I love the way that they look and the bread looks amazing. I love baking my own bread but this does look like an amazing bakery. Wow, looks like an awesome place to go and eat and just savour! Their long baguette type sandwiches look so yummy! Yum this bread looks fantastic and those sandwiches are to die for! 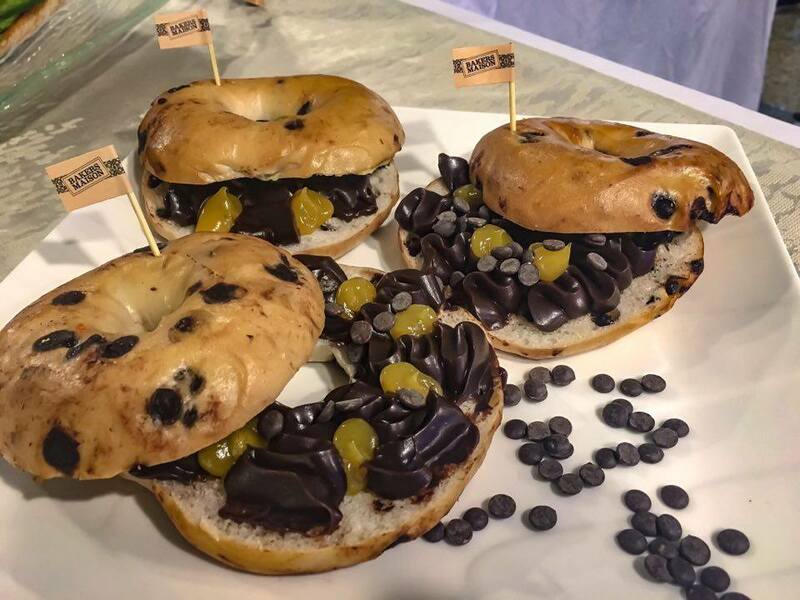 The dessert bagel looks ah-mazing. Oh, now my stomach is growling. Must. Have. Food. That looks like an amazing event to go to. To learn from a master baker is everything to me. I mean, I really would love to step into their shoes some day. That chicken pumpkin sandwich looks absolutely amazing! Oh my gosh, yes. I would love this. Carbs have always been a joy in my life. Everything looks delicous. I would go home with so much bread if I visited here. I love me some sandwich. These look fabulous. And I love the fusion flavours. Nom! This sounds like a cool experience. That dessert bagel looks pretty interesting and those sandwiches would be the perfect party food (or lunch for two for the week). But this is making me forget my diet all at once! This is really amazing, you have mad talent right there! I love bread and this looks like a fun event to attend. It's amazing all the different styles of bread there is out there and how they can make it so good. I'm a sucker for carbs and different flavors throughout the world. Thanks for sharing the recipes as well. The chicken baked pumpkin sandwich looks really good. The other baked goods like the bagels looked really good too. Thanks for sharing recipes too. All of these things looks amazing! I'm going to need that recipe book asap! It looks like you had a great time testing out all the food! Everything look so delicious. I definitely would love to check this place out! wow what an amazing craft! All the breads look so incredible. And now I want a fresh loaf of bread. I literally just ate dinner but I'm hungry now ha ha.